As you may be aware Dell has been offering and hosting a public, multi-tentant IaaS cloud offering. After getting that business off the ground and many customer conversations, we’ve come to realize that the greatest way we can provide value for our customers is to focus our investments on more strategic components of the cloud and provide our customers with maximum choice and flexibility. As a result, rather than building out and supporting our own multi-tenant public cloud, we will partner with companies in order to provide customers access to the cloud(s) of their choice. A sampling of some of the public clouds Enstratius provides access to. With our recent acquisition of Enstratius not only are we are able to provide our customers with the ability to manage and govern a multi-cloud environment but we are now able to offer access to over 20 prominent clouds from Amazon to Rackspace, to Google, to AT&T. Joyent: An IaaS provider for real-time web and mobile applications. Joyent has out-of-the-box compatibility with Enstratius’ multi-cloud management. ScaleMatrix: Cloud hosting platform, Services are offered from proprietary world-class data centers, and leverage enterprise hardware, storage and cutting-edge security and Distributed Denial of Service (DDoS) mitigation services. ZeroLag: Combines VMware-powered on-demand cloud infrastructure with professional services and custom-designed solutions. Customers will be able to purchase products from these partners through their Dell sales representatives and you can find out more information at dell.com/cloud-partner-program. On the Private Cloud front nothing has changed. 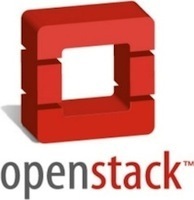 We are still huge supporters of OpenStack and will continue offering our Open Stack-based private clouds. Additionally we will continue to provide cloud-to-on-premise connectivity via Boomi. On the Project Sputnik front the cloud launcher that we continue to work on is being designed to provide access to a host of clouds. This entry was posted on Monday, May 20th, 2013 at 12:25 pm and is filed under Uncategorized. You can follow any responses to this entry through the RSS 2.0 feed. You can leave a response, or trackback from your own site.